Tremendous advancement has undergone in food franchise business sector, investment friendly business models offered by various brands, furthermore strong demand for good returns have observed among entrepreneurs. In terms of growth, Indian marketplace offer better opportunities as compared to markets in other global economies. For instance, chatar patar food Pvt. Ltd. achieved tremendous growth rate since its inception and is on the verge to become India’s leading food franchise brand in forthcoming years. 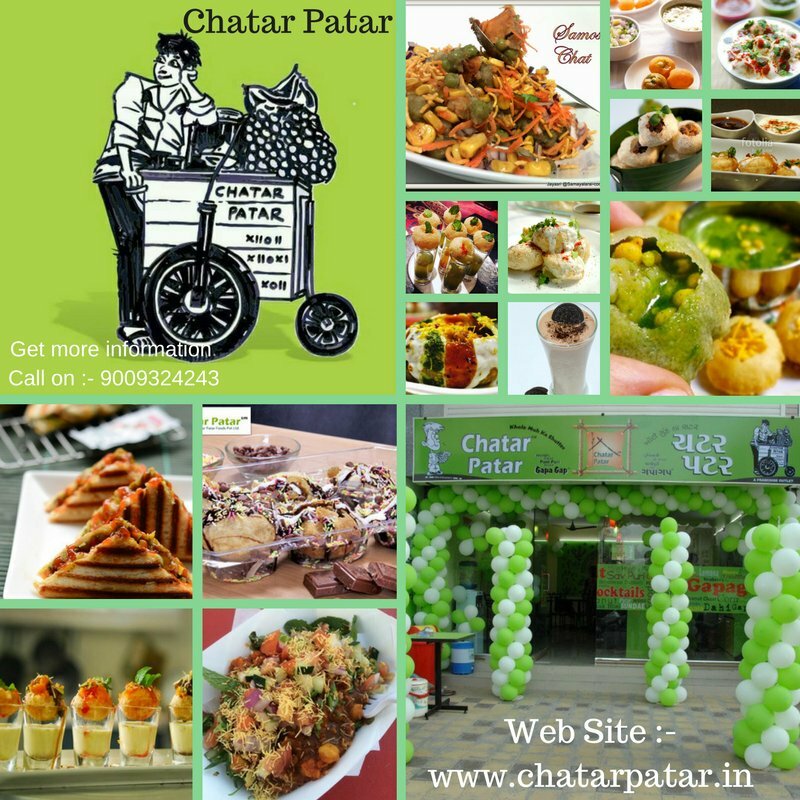 There are few strategies adopted by chatar patar to attract mass customers that should be known to every individual who want to pursue career in food industry. 1. Menu selection - the leading food franchise brand focus primarily on most-loved food items like panipuris, and other fast food snacks. Choosing a unique menu is always a single most factor that distinguishes your new business from existing counterparts. 2. Varieties of models –Don’t stick to single business model because market can be changed anytime and also consumer choice or preference. Give different options to people like nano, hangout and Mega store designed by chatar patar. 3. Offer something unique –Food as well as services should be placed well. Representation is first thing noticed by customers, you start food truck or food cart to reach more customers. 4. Delivery system – Now-a-days people prefer online order system as it is most convenient way to save time and energy. In order to reach maximum customers, you should develop online system or make contacts with other affiliates to promote products or services. 5. Marketing – Before investing in food industry thorough research current market trends and opportunities. Marketing is fundamental concept that should be utilized effectively to promote new business at national or global level. Social media is one of the best marketing tools these days. 6. Technology –Take advantage of technological advancements; try to use technology for cut down different costs.